I have exactly one complaint concerning Christmas music: there’s not enough of it! And there’s certainly not enough variety! Thank you, Mannheim Steamroller, for providing some of that much-desired variety! After listening to that play list for several hours on end, I came away with a deep appreciation for variety. So, golden question: how do you take something as well-established as Christmas, and add some variety to it? This is, basically, Mannheim Steamroller’s approach to their Christmas-themed music. And music in general. They try anything and everything they like. Their style, as described on wikipedia, “combines classical music and rock.” The Christmas flavor of this, at least, includes a great deal of techno, as does their album covering several Disney songs, and their Halloween music, and… you get the idea. 😉 They can play something upbeat and fast, or slow and soothing, whatever they like, they do. Be it an original work or a cover of a classic Christmas carol, they add their own flavor to the season. Not to say it’s all thrilling. (they do not walk on water, after all) There are some works which just don’t tickle my fancy, but that’s no great matter compared to how much of their music I love. In truth, my only complaint about them is how, when I attended a concert, I was bored. For having decades of experience behind them, they don’t have much mastery of the ancient art of Concert Fu. They do have a pretty good mastery of Music Fu. I have quite a bit of their music as part of my personal Christmas playlist (which lasts much longer than one hour, ye lazy radio heads). Somehow, they can move between, and sometimes combine, elements of old and modern music so fluently as if to appear effortless. They draw on the influence of what is well established, but give it new life, new texture, bridging great volume (the name “Mannheim Steamroller” apparently comes from a term which translates as “to crescendo, or get louder”) and a soft reverence for the spirit of the season, and the birth it celebrates. 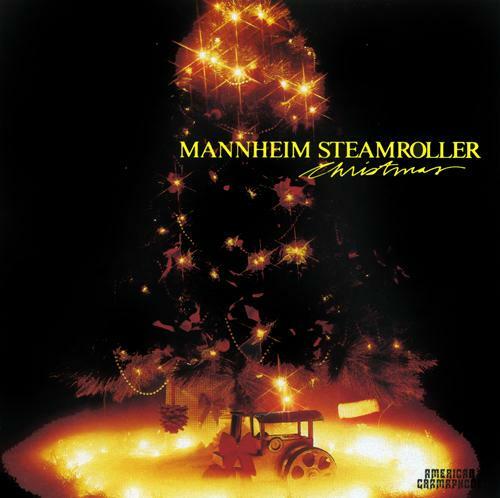 This entry was posted in Muse-ings and tagged Christmas music, Mannheim Steamroller. Bookmark the permalink.